This website is dedicated to support eradication of goat TSEs! 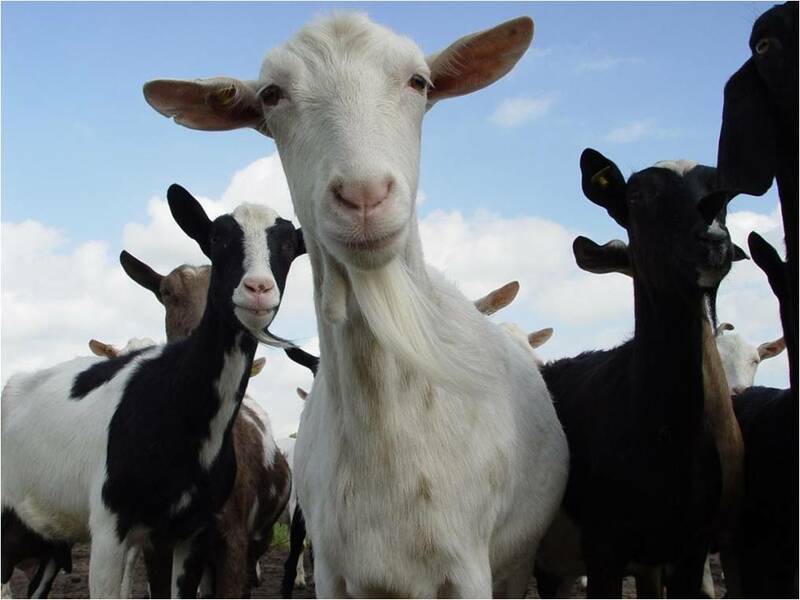 It informs goat holders and producers, researchers, policy makers and public about our EU-supported project GOAT-TSE-FREE that started in Sept 2012 within the EMIDA ERA-NET framework and originated from the EU FP6 GoatBSE project. It brings you information on the current state-of-the-art as well as the next steps required to eradicate goat scrapie. The GoatBSE project provided a great fundament to understand goat TSE dynamics while the follow-ups take it to the next (practical) level. We provide information about plans and progress to enhance the goat scrapie resistance level in the project participating countries, which are: Italy, France, Germany, Greece, Netherlands, Spain and United Kingdom. Cyprus is involved as a contributing partner. In several countries (Italy incl. Sicily and Sardinia, Greece, United Kingdom, France, Spain, Germany) have been performed more extended searches for existence of live PrP resistance polymorphism carriers under goats. The PrP-alleles of interest were especially Q222K, N146D and N146S, shortly indicated as 222K, 146S and 146D. Transgenic mice with 222K goat PRP show high resistance to BSE and scrapie. In their paper “Role of the Goat K222-PrPC Polymorphic Variant in Prion Infection Resistance” Aguilar-Calvo and others show that transgenic mice expressing the wildtype (222Q) PRNP allele were fully susceptible to infection with all tested TSE isolates, whereas transgenic mice expressing similar levels of the 222K allele were resistant to all goat scrapie and cattle BSE isolates. However, these 222K mice are not resistant to goat derived BSE. However, the occurrence of goat BSE would be a very improbable condition. All the results presented support the view that the K222 polymorphic variant is a good candidate for selective breeding programs to control and eradicate scrapie in goat herds. With the study of Lacroux et al., 2013, there are now two experimental studies that show the high level of scrapie resistance contributed by the 222K allele in goats. These experimental challenge studies in goats confirm the findings in the field that the 222K allele confers a high level of unsusceptibility to scrapie in goats, supporting its usefulness for breeding programs.